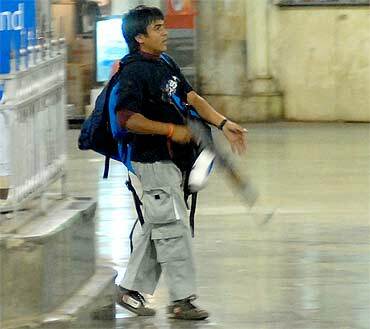 The Bombay High Court today fixed February 21 as the date for delivering its final verdict on the confirmation plea of Maharashtra government over the death penalty awarded to Pakistani terrorist Ajmal Kasab by a designated court here for his role in the 26/11 Mumbai terror attacks. On the same day, the court will also deliver its verdict on the state plea challenging the acquittal by a lower court acquitting two LeT suspects Faheem Ansari and Sabauddin Ahmed for lack of evidence. A Division bench consisting of Justice Ranjana Desai and R V More, who had reserved its order till today, after hearing three months lengthy arguments by the Defense and prosecution in which the latter on one hand urged the court to confirm the sentence to Kasab, while on the other hand defence prayed the court to convert the death sentence into Life. In the plea moved by state Government, the public prosecutor Ujjwal Nikam justified the death sentence awarded to Kasab and urged for its confirmation, saying that he had committed heinous crime by participating in terror strikes in which 166 persons were killed. Justifying the lower court verdict, the prosecution had cited certain Apex Court ruling and described Kasab as 'Shaitan, a devil' and 'a killing machine', who deserved the death penalty. While, on the other hand, Kasab's defence has pointed out certain loopholes in the trial faced by him and alleged that some important witnesses had not been examined and urged for a fresh trial which was rejected by the court. Kasab, in his appeal, against his conviction and the death sentence, denied that he had come from Pakistan along with other terrorists in a dingy. He said he had come by Samjhauta Express to Delhi and later went to Mumbai to see Hindi films. He was arrested at Juhu beach and was in police custody when the terror attacks took place. About Faheem and Sabauddin, both Indian citizens, the state had argued that the trial court had erred in acquitting them. Faheem had got a passport from Pakistan on the basis of fake documents and both were involved in preparing maps for the terrorist attacks. The Defence of both the accused denied their client's role in the 26/11 attacks and submitted that holding forged Pakistani passport did not prove Faheem's role in the attacks. The court was told about Sabauddin the prosecution had produced only one witness to prove that Faheem gave map to Sabauddin but did not provide any corroborative evidence and argued that the trial court had rightly given the benefit of doubt to both the accused. On May 6 lasy year, the trial court had given capital punishment to Kasab but acquitted Faheem and Sabauddin on the ground that evidence against them was doubtful.